When anterior cruciate ligament (ACL) reconstruction fails, a revision procedure may be performed to improve knee function, correct instability, and allow return to activities. 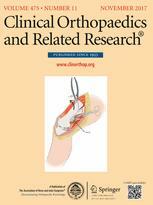 The results of revision ACL reconstruction have been reported to produce good but inferior patient-reported and objective outcomes compared with primary ACL reconstruction, but the degree to which this is the case varies widely among published studies and may be influenced by heterogeneity of patients, techniques, and endpoints assessed. For those reasons, a systematic review may provide important insights. In a systematic review, we asked: (1) What is the proportion of revision ACL reconstruction cumulative failures defined as rerupture or objective failure using prespecified clinical criteria at mean followup of at least 5 years? 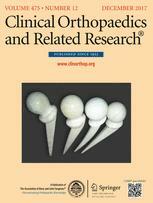 (2) What are the most common complications of revision ACL reconstruction? A systematic review was performed by searching PubMed/Medline, EMBASE, and CENTRAL. We included studies that reported the clinical evaluation of revision ACL reconstruction with Lachman test, pivot shift test, side-to-side difference with KT-1000/2000 arthrometer, and with a mean followup of at least 5 years. We excluded studies that incompletely reported these outcomes, that reported only reruptures, or that were not in the English language. 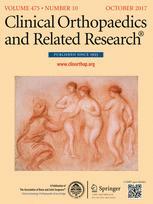 Extracted data included the number of graft reruptures and objective clinical failure, defined as a knee that met one of the following endpoints: Lachman test Grade II to III, pivot shift Grade II to III, KT-1000/2000 > 5-mm difference, or International Knee Documentation Committee Grade C or D. For each study, we determined the proportion of patients who had experienced a rupture of the revision ACL graft as well as the proportion of patients who met one or more of our clinical failure endpoints. Those proportions were summed for each study to generate a percentage of patients who met our definition of cumulative failure. Complications and reoperations were recorded but not pooled as a result of inconsistency of reporting and heterogeneity of populations across the included studies. 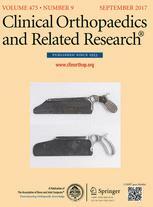 Of the 663 screened studies, 15 articles were included in the systematic review. Because one study reported two separate groups of patients with different treatments, 16 case series were considered in the evaluation. The proportion of reruptures (range, 0%–25%) was > 5% in only four of 16 series and > 10% in only one of them. The objective clinical failures (range, 0%–82%) was > 5% in 15 of 16 series and > 10% in 12 of them. The proportion exceeded 20% in five of 16 series. The cumulative failures (range, 0%–83%) was > 5% in all except one series and > 10% in 12 of 16 series; five series had a cumulative failure proportion > 20%. The most frequent complications were knee stiffness and anterior knee pain, whereas reoperations were primarily débridement and meniscectomies. Considering rerupture alone as a failure endpoint in patients who have undergone revision ACL reconstruction likely underestimates the real failure rate, because the percentage of failures noticeably increases when objective criteria are also considered. Whether patient-reported and subjective scores evaluating knee function, level of activity, satisfaction, and pain might also contribute to the definition of failure may be the focus of future studies.